We love the simple elegance of this luscious sheet set beautifully crafted in Italy. A rare double hemstitch makes this design something truly special, while the butter-soft 300-thread count woven sateen creates the feel of dreamy luxury. 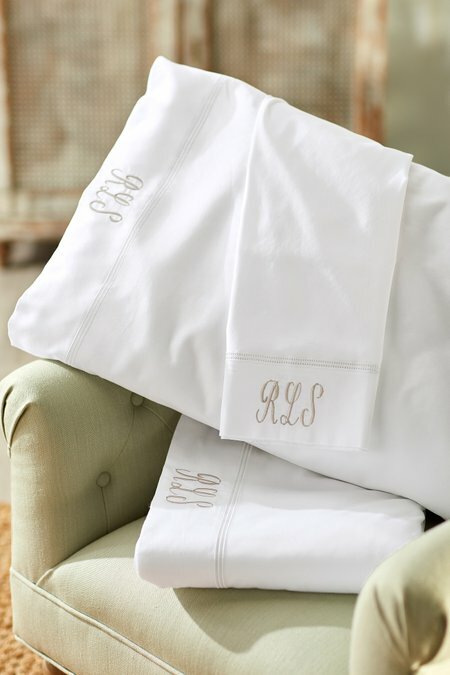 Perfect with any bedding, this inviting set includes a flat sheet, fitted sheet, and two pillow cases finished with a chic 6-inch French fold. Truly bella.